Duravit have an aesthetic approach to creating the perfect bathroom and their practical, design-led products make class and modernity accessible to all. Excelling in producing items which are functional and practical as well as visually pleasing, Duravit cater to your needs no matter how simple or grand your bathroom project is. 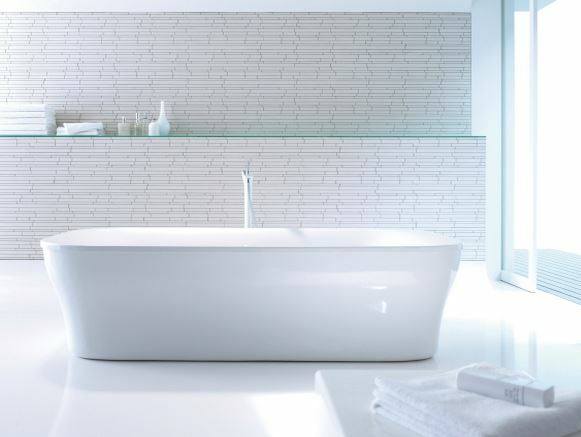 Duravit put style at a premium and carry striking collections from designers such as Philippe Starck and Sir Norman Foster. Their ranges incorporate classic, original styles as well as understated, contemporary design, and their bathrooms provide a space where you and your family can enjoy relaxing and taking stock. Here at The Bathroom Company, we have numerous Duravit products on display in our showrooms, which our experienced team will be pleased to demonstrate to you. Current Duravit collections include 1930 Series, 2nd floor, 2×3, Architec, Bacino, Bagnella, Bathroom Foster, Blue Moon, D-Code, Darling New, Delos, DuraPlan, DuraStyle, Esplanade, Fogo, Happy D.2, Inipi / Inipi B, Karree, Ketho, Mirrorwall, Nahho, Onto, OpenSpace, Paiova, PuraVida, Scola, SensoWash, St.Trop, Starck 1, Starck 2, Starck 3, Starck K, Sundeck, and Vero.